Dr. Morice specializes in minimally invasive tubal reversal surgery using the microsurgical method. Microsurgical tubal ligation reversal uses a very small low abdominal incision just above the pubic bone and microscopic instruments to perform the procedure. Performing the procedure with microsurgical technique helps ensure success and decrease recovery time for our patients. The procedure of “Tubal Reversal” typically takes between 1 to 1.5 hours. Patients recover at the surgical center for 2-3 hours after the tubal ligation reversal is completed. After this, they are free to go home or to their nearby hotel. Your preoperative visit is at our office on the day before your surgery is scheduled. During this visit, our nurses and Dr. Morice will review your current condition and discuss the logistics of the procedure, such as arrival time and what to eat the night before. 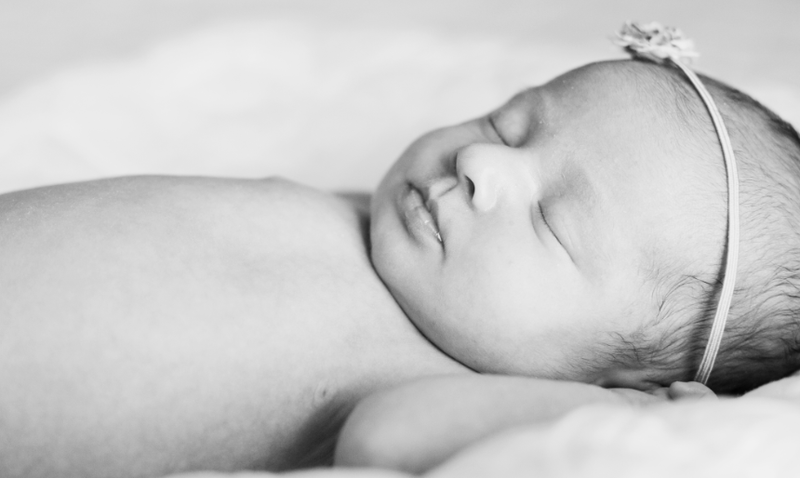 The Tubal Reversal Procedure is done at The Physicians Medical Center. Upon arrival, you will be dressed for surgery and anesthetized by an anesthesiologist. You will not be awake during the procedure. Dr. Morice will use microscopic instruments to carefully remove the blocked portions of your fallopian tubes. The remaining segments will be reconnected using very fine, absorb-able stitches that will be absorbed by your body once you are healed. Dr. Morice then runs dye through the fallopian tubes and uterus to ensure successful suturing of the tubes. Once this is confirmed, Dr. Dr. Morice sutures the very small low abdominal incision just above the pubic bone using absorbable stitches that will not need to be removed. You will heal up shortly after. Our patients are typically mildly sore for 1-3 days after a tubal ligation reversal with Dr. Morice. Most patients of Tubal Reversal return to work after a week of recovery time. Strenuous activity, including lifting, need to be avoided for 2 weeks, after which most patients are fully recovered. Tubal ligation is used to present pregnancy in women; for this implants, clips or bands are used to block the fallopian tubes. Tubal ligation is exercised as a permanent birth control technique, it presents egg or ovum to reach woman uterus to fertilize. Thereby tubal ligation is a process to prevent pregnancy. It can also be reversed by a tubal ligation reversal! Once tubal ligation is done, tubal ligation reversal is used to restore her fertility. Tubal reanastomosis or Tubal ligation reversal surgery is used to unblock fallopian tubes, its segments are carefully reconnected again which allow eggs passage into uterus to convice once again. This allows women to conceive naturally again and as many times as they able to conceive. It is not similar to IVF in-vitro fertilization where fertilization treatment requires getting pregnant each time. Atchafalaya Tubal Reversal Clinic helps women to reserve tubal ligation to accomplish their dreams to be mother once again. Women have tubal ligation when they are sure that they don’t want to have more children. But what happens if they change their mind or a woman wants to become pregnant for any other reason? There is a possibility of it. They will be suggested a surgery known as “tubal ligation reversal“. This surgery reopens unties or reconnect the interrupted segments of the tubes so that the woman may conceive a baby again. Are You The Right Candidate For Tubal Reversal Surgery? Female overall health and the health of her uterus, ovaries, and the condition and length of the remaining fallopian tubes. When were the tubes tied and what type of ligation was it? Had a woman surgery for fibroids endometriosis, gynecological problems or pelvic inflammatory disease (PID). There could cause scar tissue which may affect the success of the tubal reversal. Generally tubal reversal surgery is the right choice if only small parts of the fallopian tubes are removed, or the clips or rings are used to tie the tubes. Some doctors suggest that the younger women who are below 40 years are the right candidates. Keep in mind that women who are older have a greatly reduced chance for pregnancy. Further a woman is the right candidate for tubal ligation reversal if her partner’s sperm analysis is normal. Operative report and pathology reports copies. Additional x-rays, blood tests and some fertility tests before surgery. The doctor will suggest a complete physical exam for both the female and male partner. The test may include blood and imaging tests to check if the ovaries are normal. A hysterosalpingogram (HSG) maybe required checking the length and function of the remaining fallopian tubes. The patient must follow preoperative instructions. They must schedule their surgery within the week after their period end. They must not eat or drink anything after midnight the day of the operation. What are the risks of Tubal Reversal Surgery? Like other surgeries, this surgery also has some risks but these are very rare and include anesthetic complications, infection, bleeding damage to other nearby organs etc. There is also the increased risk of ectopic pregnancy after tubal reversal. It is an outpatient surgery in which a patient needs not to stay overnight after the surgery. A general anesthesia is given to the patient. She is not wake during the surgery which makes the process pain-free. A laparoscope is a small lighted scope that the surgeon places into the pelvic area through belly button. In this way fallopian tubes can be seen and the surgeon may decide to perform the surgery or not. If it is possible to perform the surgery, the surgeon makes a small incision near the pubic hair line. This incision is called a “bikini cut.” The laparoscope has some microscopic instruments that help in removing the rings or clips whatever is used for blocking the tubes. These instruments also help in reconnecting the tubal ends to the uterus with the help of small stitches. It takes usually 2-3 hours to perform the surgery. The patient will remain in the hospital for about three hours after the surgery complete and before she is discharged. If the patient feels she is unable to go home, she may stay overnight in the hospital. The patient should be very careful and should refrain from heavy lifting for quick recovery. There are usually no diet restrictions but she must take her medications as directed by the doctor. The time of recovery usually depends on the type of technique used in performing the surgery. This surgery is considered as the major abdominal surgery. It is complicated and takes more time than the tubal ligation. It usually does not require the patient to stay overnight but some patients need to stay for 1 to 3 days in the hospital. The surgery is a micro surgery and when there is a micro surgery the patient is not required to stay in the hospital overnight. They can go home on the same day the surgery is done. The patient feels the discomfort which can be managed with the help of the painkillers. The patient is able to start her normal activities after 2 weeks of the surgery. There are good chances of successful pregnancy if the remaining fallopian tubes are healthy and the both male and female partners don’t have any other infertility issues. But it does not happen in all cases. There is another factor that is very important. This factor is the age factor. Age plays an important part in the pregnancy. Woman chances of getting pregnant by age 35 years or above are less. Younger women are more likely to conceive a baby after the tubal reversal. The success rate of the pregnancy ranges from 60% to 90%. Tubal Ligation Reversal cost you only in $5,250.